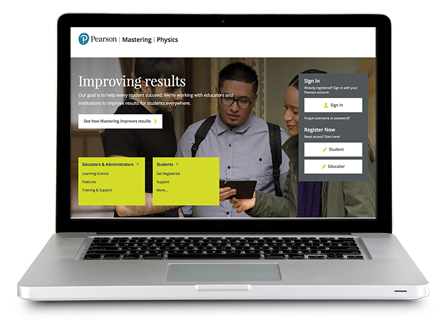 Pearson Physics offers a new path to mastery— a "concepts first" approach that supports a superior, step-by-step problem solving process. Pearson Physics is the only high school program that blends conceptual development and quantitative problem solving. The conversational and engaging writing style, numerous and varied examples, annotated art program, and dual emphasis on concepts and math—together with Mastering™ Physics— deliver a superior program. 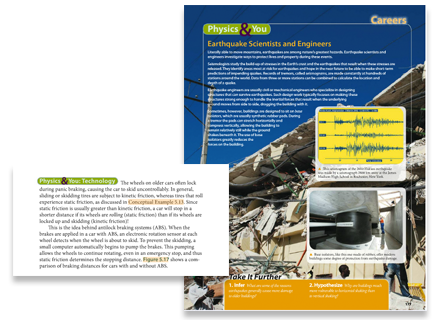 Pearson Physics appeals to students by connecting to their lives with real-world applications, concept development tools, and motivating applications to engage and motivate students. Students gradually build their math skills by beginning with simple examples and building to more advanced skills. The program extends conceptual understandings and helps connect students to related equations and problem-solving skills. 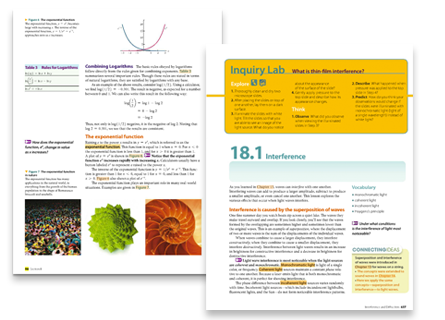 Hands-on lab explorations are found in the text itself, and through a separate Lab Manual. 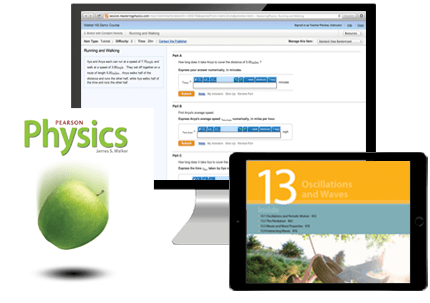 Mastering™ Physics with Pearson eText is the most effective and widely used online tutorial, homework, and assessment system that engages students and teachers—anytime, anywhere.